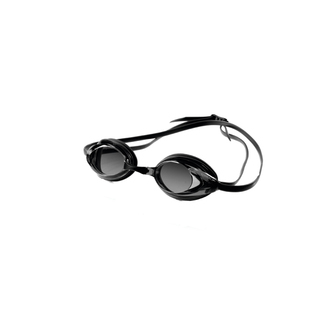 Get a precision fit with the Speedo Vanquisher Optical Swim Goggles! Very reliable, great fit. We go through a lot of these! Not that they don't last but they get misplaced. We like to keep a lot of extras on hand. Excellent product! I am grateful to know there's a place where I can lace an order for prescription goggles so effortlessly and reasonably priced. good goggle, this is a -6 prescribed goggle not available at any local sports store. I have a -3 diopter correction in the left eye and -5.5 in the right. The Speedo Vanquisher optical goggles are perfectly symmetric, so I buy a pair of -3's and -5's, swap eyepieces and get 2 pairs. I think I will order another pair tinted. These prescription goggles make me so happy! I can't believe I went so many years struggling to see a pace clock. With these goggles, which come pretty close to my prescription, I can read the pace clock at either end of the pool, and even recognize friends when they arrive at the pool! 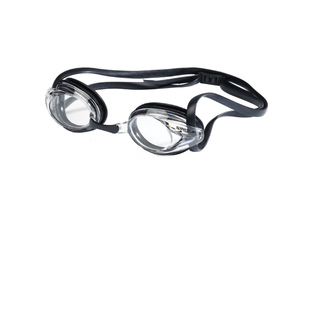 The goggles are also comfortable and cheap -- only slightly more expensive than regular goggles! So great! Used them for years. I have tried other brands and the Speedos are the best in terms of durability and comfort. Much better fit than competitor's that I had before. And available w/o tint for indoor pool. Symmetrical shape meant my dual correction yielded two pairs of usable goggles! Nice product. Speedo vanquisher is the perfect goggle. Coach found it a great buy.